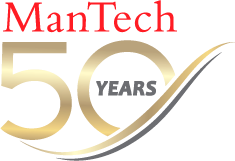 ManTech is seeking an experience Research Engineer with a strong background in defense systems to support the Naval Postgraduate School’s Unmanned and Robotics research opportunities. This position is an opportunity to work in a cutting edge environment where you will significantly impact the future development of unmanned and robotic systems. The Research Engineer shall possess at least a SECRET clearance with research experience in the field of defense systems. The Research Engineer must possess extensive subject matter expertise in one or more focus areas of defense systems within the US and partner nations. The Research Engineer must have at least a bachelor’s degree in a science or engineering field; a master’s degree is preferred. Must have at least six years of demonstrated experience in a research environment, preferably related to the DoD. Must possess an active DoD SECRET clearance.